KEW ENGG. & MFG. PVT. 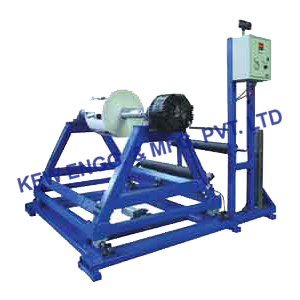 LTD. dealing with manufacturing and exporting Rewinding Unwinding Machine from India. A genuine specialized supplier of Rewinder Unwinder. We are manufactures, exports & supplies Core Cutting Machine for cutting of paper core. Our machines are designed with a wide range of quality for long lasting heavy duty process, especially for cutting in different sizes from 12 mm to 1000 mm. KEW Manufacturers, exports & supplies Rewinding Unwinding Machine with high production output & efficient web aligner function with more than 2500 installation in place all over India and overseas like Saudi Arabia, UAE, Dubai, Sharjah, South Africa, Nigeria, Ghana, Congo, Kenya, Zambia, Sri Lanka, Bangladesh, Malaysia, Pakistan, Nepal, Russia, Thailand, Indonesia, Brazil, Colombia, Venezuela, Argentina, Mexico, Canada, etc. making us the biggest manufacturer, exporter & supplier of Rewinding Machine.